Together we can create a personalized permanent memory for your loved one Designing a monument is a truly meaningful experience. We have a wide selection of monuments to choose from. The granite we use comes from Barre Vermont, (the granite center of the world), and can be provided in an array of colors and styles. 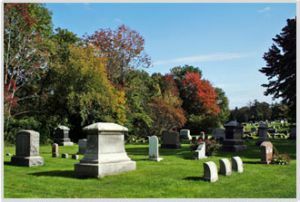 Our experienced funeral directors will assist you through the selection process and will be able to answer any questions you may have.